"The basic value proposition of SDN remains the same -- either you make money or save money," said Dan Pitt, Executive Director, Open Networking Forum speaking at the opening of the Layer123 SDN & OpenFlow World Congress in Bad Homberg, Germany. What has change in the past year since the last SDN World Congress? Attendance at the event has nearly doubled to about 700 and the companies presenting at the event have increased in number and diversity as real world use cases become the topic of discussion. From the perspective of the ONF, Dan Pitt said OpenFlow has established its value as the open, vendor-neutral standard made for SDN. With new SDN use cases showing CAPEX and OPEX savings, Pitt said there is no doubt that SDN will have a big market impact on both data centers and carrier networks. The first signs of SDN hitting the mainstream press can now be seen in advertising from NTT Communications touting its software-defined capabilities. Launched an Open-Source OpenFlow driver competition. Added 30 new companies, bringing total ONF membership to 113. Goldman Sachs has joined rhe ONF Board. Established liaisons with other industry groups. The Open Networking Foundation (ONF) has established a Northbound Interface (NBI) Working Group with a charter to develop information models for NBIs and to help the application developers actively seeking an open Application Programming Interface (API) to develop code against. The new Working Group, chartered this month, has launched with strong support from ONF Member Companies: HP, Huawei, Intel, NEC, Plexxi, and Radware. A Chairperson for the NBI Working Group will be appointed by the Board in November, after applications are received from Member Company candidates. Initial information modeling will be completed in 2014. The ONF has also formed a new Wireless & Mobile Working Group to develop reference architecture/implications for OpenFlow in mobile networks. Current projects include Mobile backhaul/wireless transport, Mobile packet core/EPC, OmniRAN and Enterprise. VMware is preparing to launch its vCloud Hybrid Service in the UK beginning with a first data center location in Slough. In addition, VMware announced new hybrid cloud management capabilities and the vCloud Hybrid Service Application Marketplace. 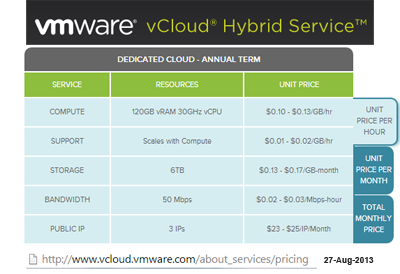 VMware vCloud Hybrid Service, built on VMware vSphere®, enables customers to extend the same applications, networking, management, operations and tools across both on-premises and off-premises environments. 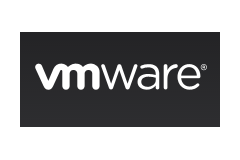 The UK expansion demonstrates VMware’s commitment to expand its infrastructure as a service (IaaS) footprint internationally and provide European customers with the fastest path to cloud. In September, VMware launched its vCloud Hybrid Service in the U.S.
VMware has acquired Desktone, a start-up offering a multi-tenant desktop virtualization platform for delivering Windows desktops and applications as a cloud service. Financial terms were not disclosed. Multi-tenancy – A must for cloud delivery. Each customer gets a separate virtual environment to ensure security while cloud providers are able to manage multiple customers under one platform. Self Service of virtual desktops – Simple provisioning from the cloud enables self-service for IT of full VDI, shared session remote desktop service (RDS) desktops and applications without the need to procure hardware or software. Grid-based architecture for elastic scalability – Advanced architecture enables unlimited scalability across multiple geographies and data centers. Low cost of delivery – Open source based technology eliminates Microsoft licensing fees and third-party software management, resulting in cost savings over competitive desktop virtualization offerings. Advantech and Netronome are collaborating to produce high performance x86 systems for the networking and telecom industries. Specifically, Advantech integrates Netronome's NFE-3240 acceleration cards into its Carrier Grade and Optimized IO servers that are a part of its CGS-6000 High Performance Server Line. Highly optimized, next generation appliance and server designs which leverage Netronome’s NFP-6000 series of flow processors are now under development with full disclosure slated for the first quarter 2014. 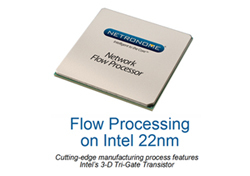 Netronome’s flow processors offload x86 cores from compute intensive tasks such as network load balancing between cores, cut-through forwarding of traffic, tunnel encapsulation/decapsulation, encryption/decryption, and traffic grooming for efficient processing of network flows. 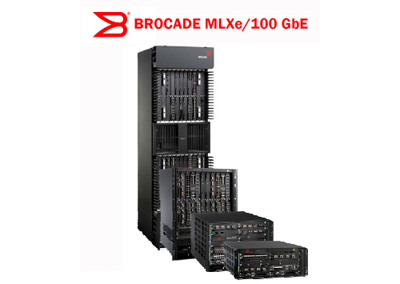 Australia-based Megaport has selected Brocade's MLXe Core Routers will the goal of becoming a leading provider of network interconnection services across the Asia-Pacific region. ASI Solutions serves as integrator for the project, which represents the first delivery of 100 Gbps network services in the region from Brocade. Since its launch in July 2013, Megaport -- which currently extends to 18 major data centers in Sydney, Melbourne and Brisbane -- has connected over 700 Gbps in bandwidth as customers embrace its groundbreaking solutions. With strong demand expected to continue, Megaport wants to lead the charge to roll out 100 Gbps network interconnection services across the entire Asia-Pacific region. "We want to revolutionize the way communications networks connect," said Bevan Slattery, Chief Executive Officer, Megaport. "For too long the industry has been dominated by providers that are operating on legacy technology and are often bound by restrictive price models based on limited capacity. Megaport's offering is based on a massive interconnection fabric designed to allow providers to use a single physical Ethernet interface to seamlessly connect with other parties. We aim to make a significant positive impact towards the operating costs borne by network operators, content hosts and cloud service providers." ACG Research is projecting that the Total Worldwide Optical Networking market will increase from $14 B to $17.25 B by 2018 (CAGR 4.4%). Its study finds that the immediate growth is coming from network expansions of the incumbent carriers in North America and APAC and driven largely by the up-take in LTE services. This build-out should take a couple years to complete and will also expand to the EMEA market where it will fuel revenue growth in the outlying three to five years. The projected five-year growth on a regional basis will be EMEA (CAGR 5.0%), Americas (4.7% CAGR) and APAC (3.7% CAGR). Based upon revenue generation the ranked order is Americas, APAC and EMEA. ACG Research also forecasts that the packet optical transport segment (POTS) will grow the fastest over five years (7.2% CAGR) and reach a $2 B run rate in 2018. Meanwhile, the legacy product segments of Long Haul DWDM (4.7% CAGR), Metro DWDM (4.7% CAGR) and MSPP (4.0% CAGR) will continue to grow; they account for approximately 85% of the total optical network spend during the next five years. This is due largely to the relationships or dependencies between the product segments. The only product segments forecast to deliver negative growth over five years are the optical cross connect (OXC) segment (-6.0% CAGR) and the SONET/SDH (-9.1% CAGR) segment. The Mid-Atlantic Broadband Communities Corporation (MBC), a wholesale open-access network transport provider, has completed the $20 million capital project to connect more than 120 K-12 schools in southern Virginia. The US Department of Commerce’s Broadband Technology Opportunities Program (BTOP) awarded MBC a $16 million grant which was matched with a $4 million grant from the Virginia Tobacco Commission. MBC completed the project within the allotted time frame and under budget, saving $1 million. MBC said the successful completion of this project ensures that every school in southern Virginia now has access to an advanced fiber optic network. Aruba Networks has deployed one of the world’s largest 802.11ac networks to date for the Australian Catholic Education Office Sydney. The next generation Wi-Fi network reaches more than 30,000 users including students (years 7-12), teachers and administrators spanning 39 secondary schools in Sydney. A legacy 802.11n infrastructure was upgraded to 802.11ac for better network performance and management. Additionally, there was a requirement for a single sign-on to the wireless network, and also the ability to easily onboard any device.